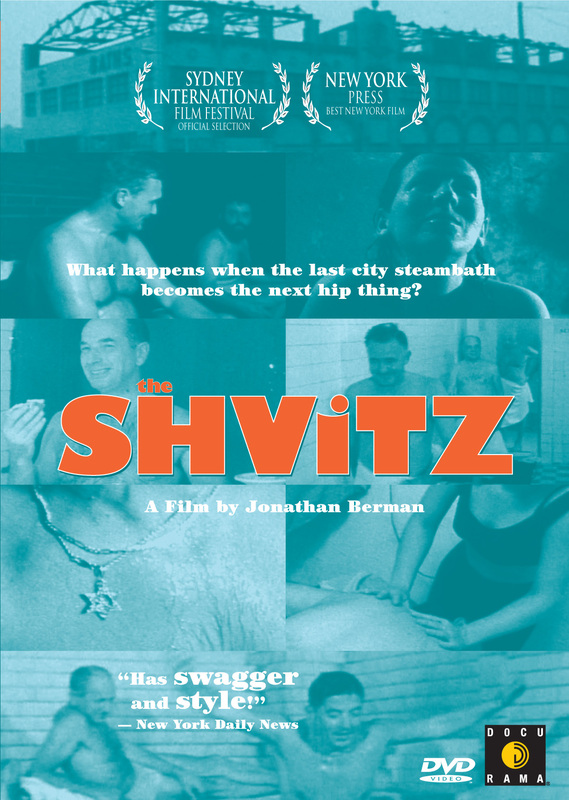 A lively and funny documentary full of “swagger and style” (The New York Daily News), THE SHVITZ takes viewers behind the bathhouse doors to explore the clubhouse atmosphere of the last American steambaths. Through award-winning cinematography, director Jonathan Berman introduces a lively cast of characters including rabbis, gangsters, models and butchers, all of them “shvitzing” (or sweating in Yiddish) together. Originally an Eastern European tradition, this secret world still manages to exist as a spirited answer to today’s world of high tech spas and suburban hot tubs. As the bathers take a break from the grind of daily urban life to wash away their worries, they find conversation, rejuvenation, and unlikely friendships in the baths. THE SHVITZ points to the evolution of modern urban life, presenting a lively co-ed bathing experience that bears more than a passing resemblance to a night at the singles bar. A rare insider look at the bathhouse from its legendary beginnings, through the gay bathhouse movement, and beyond, THE SHVITZ captures the warmth, spirit, and togetherness of an age-old ritual before it fades away. ©1993 Five Points Media. All music published by Psycho-Freylekhs Music, BMI. Art and Design ©2006 New Video Troup, Inc. All Rights Reserved. Marketed and distributed in the U.S. by New Video.